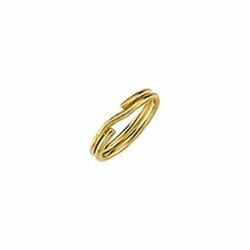 Description: 14k yellow gold filled round shaped ring that is split or coiled. They work similar to a key ring in that you thread the ring onto a chain or loop. 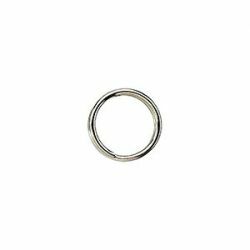 This type of ring is used for a quick secure connection of charms without any soldering needed. Three sizes are available. Sold in packages of 10.